The Flemish solid brass 1 lamp wall light in an antique brass finish is traditional and suitable for a variety of environments. It has a single scrolled double curved lamp arm, candle drips and matching candle tubes. This Flemish style wall light will grace any traditional style setting. 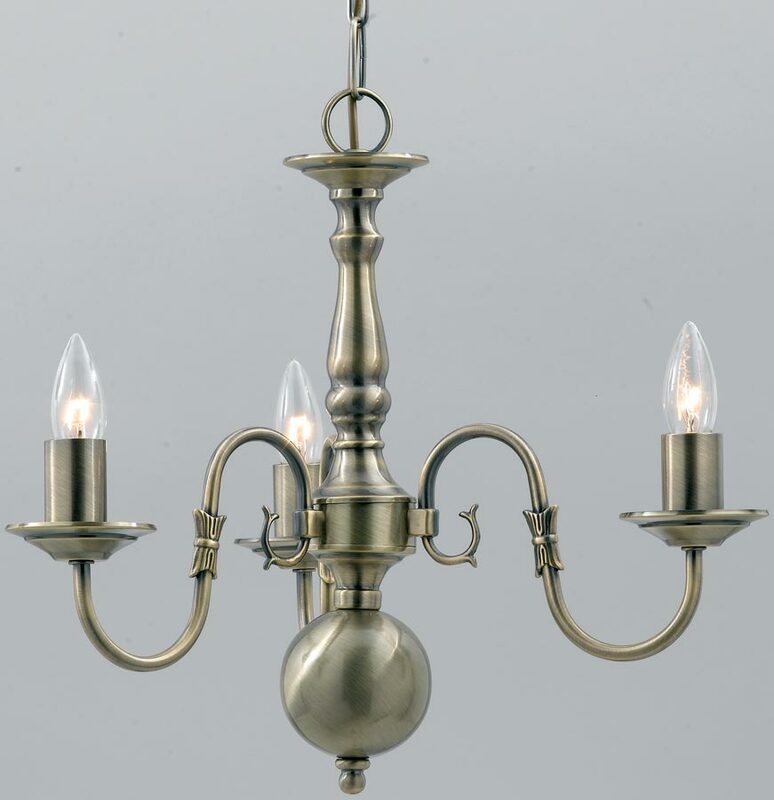 This Flemish solid antique brass 1 light wall lamp has candle style light fittings that look grand on any wall. The ornate wall fitting has curved arms and centrepiece, with a bulbous base, which will add a touch of class to any room in your home. 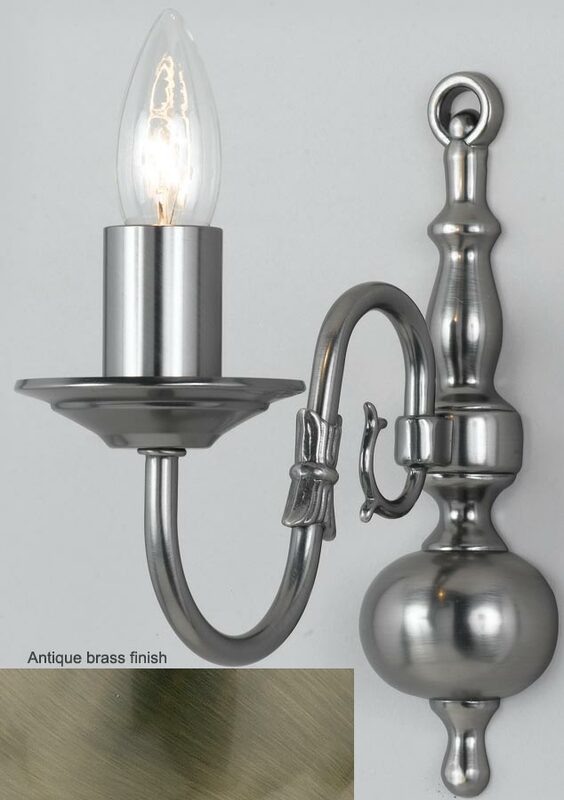 Please note that the image shows this wall light finished in pewter but there is an additional image of the antique brass that shows the finish.